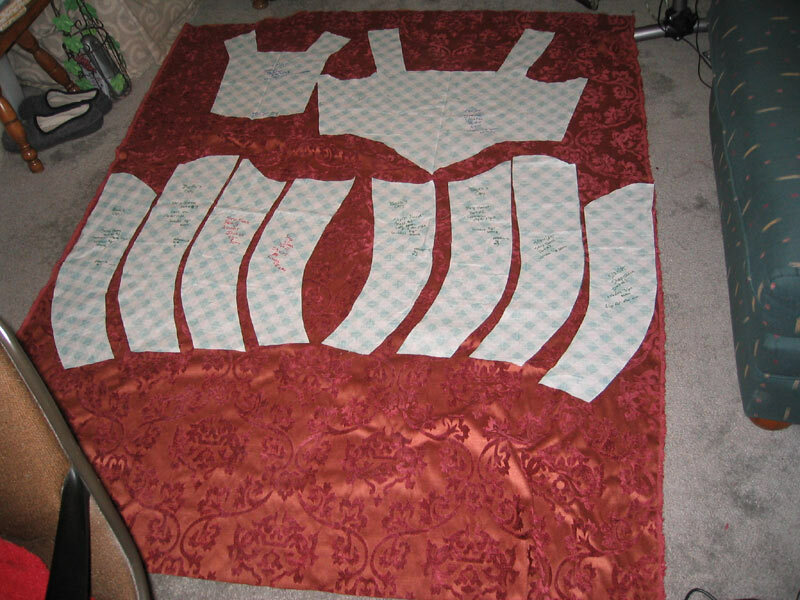 My fabric pattern repeats itself in the absolute most inconvenient way for skirtage. Oh, sure, the sides meet up nice, but the length of the repeat is such that I cannot achieve the proper skirt for my height--either i use 3 repeats down the skirt to yield a (hopefully only) slightly too short skirt, or if I try to do 4 repeats down the length, which means I have not enough fabric for sleeves. What's upsetting is that another 1/4 yard would have been all I needed. But I bought everything in the store, so its not like I can regret being cheap or something. I really want matching sleeves. Thus, short skirt it will be. 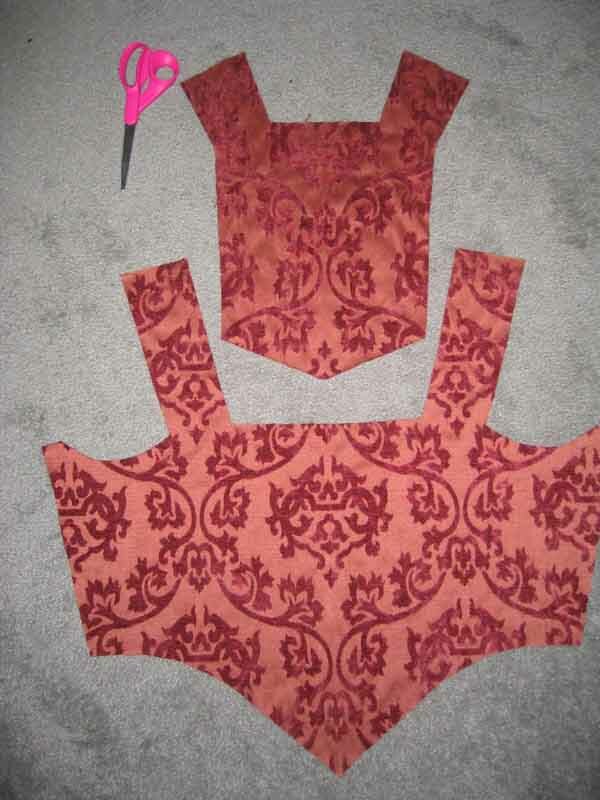 I will add a guard of my maroon wool to the bottom, I guess. That is what I bought it for, though I was hoping not to have to resort to such measures. The wide bottom guard is something I haven't really seen in portraiture, but a few of the online costume community have done this, and it looks nice. Its an acceptable fix, and I don't think the guard will have to be too wide, actually. At least its workable. Now I just need to work up the nerves to sew it. We're rooting for you. You won't mess up. You're good at this stuff. Besides, if you screw up on sewing, you can fix it. Screwing up on cutting.....that would have been the problem....so congratulations! !